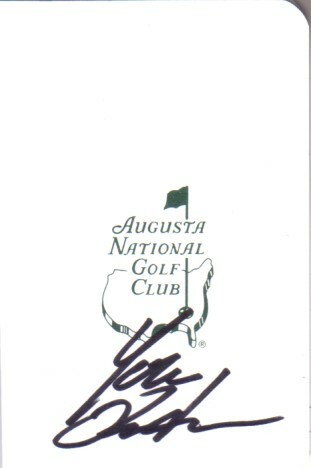 Augusta National Golf Club (home of The Masters) scorecard autographed in black marker by Japanese star golfer Yuta Ikeda. ONLY TWO AVAILABLE FOR SALE. With certificate of authenticity from AutographsForSale.com.